An international study has claimed that 83% of tap water samples tested contained tiny particles of plastic. The study, published by Orb Media, says the health implications are not clear, but probably aren't good. It notes that microplastics -- the name given to these tiny particles -- have been shown to absorb toxic chemicals linked to cancer and other illnesses, and then release them when consumed by fish and mammals. While the world-wide average of water samples containing plastic was more than 80%, the U.S. and Lebanon had the highest rate -- 94%. Europe was among the lowest, at 72%. So, how does this plastic get into our water? 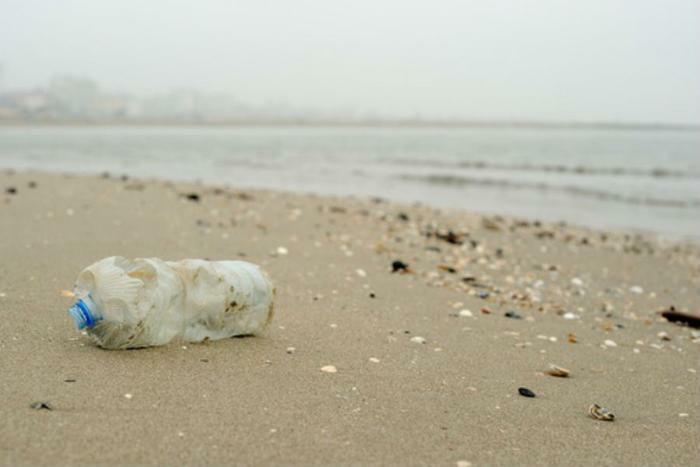 The authors say it's not that surprising, given how prevalent plastic is in the world. They say synthetic clothing like fleece, acrylic, and polyester shed thousands of microfibers with every wash. An estimated million tons of these microfibers are discharged into waste water each year, the authors contend, making their way into the environment. And that's just one source. The researchers say styrene butadiene dust from rubber tires are constantly released into the environment as cars and trucks are driven. There are even microplastics in paint. And then there is all the plastic that is simply discarded. Plastic doesn't degrade but it does get smaller and, over time, can break down into smaller and smaller particles. The authors contend the world has produced more plastic in the last ten years than in the entire 20th century. Orb Media describes itself as an organization that produces journalism covering eight core issues, many of which are environmental in nature.